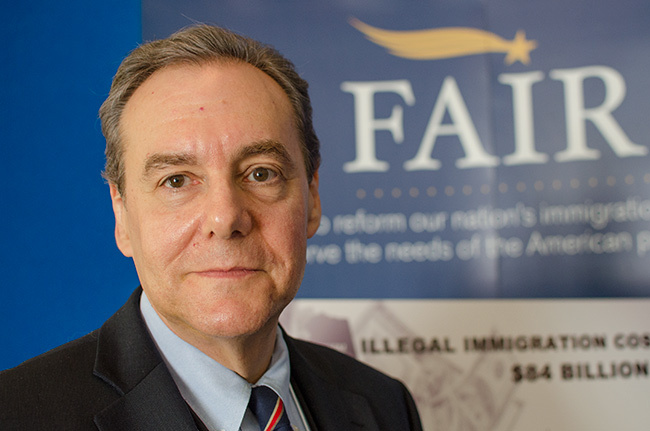 FAIR President Dan Stein appeared on C-SPAN to discuss immigration policy on June 3, 2016. Watch the full appearance below. Its from my heart too…. The fact it is the responsibility of Congress to set immigration policy, and the secondary fact that even though the Republicans have majorities in both branches of Congress, and don’t do anything to improve the system, or to assure that those who are being brought into our country aren’t undesirables who will add nothing but trouble to the fabric of our society, and may threaten our national security for generations to come proves that the voters are NOT doing their job to weed out the bad and only return the good reps to Congress. 90% of the Democrats presently serving in Congress have F and F- grades on immigration issues. That means they consistently vote in favor of foreigners and foreign workers, and in favor of illegal aliens and amnesty than they vote to benefit Americans and American workers. Virtually every so called “leader” in Congress, on both sides of the aisle, have lousy grades on immigration. When the new Speaker of the House, Paul Ryan of 1st District Wisconsin, has an F grade on immigration, we know we’re really in trouble, and it’s up to the voters of Wisconsin to get off their butts and vote that RINO out of office! It’s also up to all other voters in this nation to vote out anyone with D’s or F’s. The “American Dream” became a reality because of the hard working, law abiding middle class citizens, that are now having to take care of college educated adult children because there are no jobs. At the same time, the middle class has to make sure that their retired parents living on Social Security doesn’t go hungry or without their medications. While both parents worked their whole lives, they simply can’t afford medicine. No one asked us if it was okay to use our taxpayer money to take care of others when we can barely take care of our own! The government will lead you to believe that we don’t pay for education or medical care for illegal immigrants. Well, if the illegal immigrant falls off the roofing job that he is doing & breaks his leg…guess who foots the emergency room bill. Taxpayers. That’s why those of us that do have insurance pay such high premiums….to make up for those that don’t. They are taking our jobs. Win, win for the employer also, as he hasn’t paid any portion either. We pay to educate not only our own children, but theirs also. I would much rather see my taxpayer money go towards Community College education for American children! It’s time to work hard, abide by our laws & put Americans first so America is great again! What great comments from Dan Stein and his knowledge of our immigration system and policies and history and the effects and consequences to our nation of mass immigration. He offers sensible solutions to the problems.